Also known as lymphosarcoma, lymphoma is a malignant cancer of the lymphocytes, cells which can be found in almost every organ in the body. Part of the Lymphoid system, lymphocytes play an important part of the immune system. Unsurprisingly, lymphoma is also the most common form of cancer found in cats. According to Arnold Plotnick MS, DVM, ACVIM, ABVP, it accounts for 33 percent of all feline tumors. Since lymphocytes are found almost everywhere in the body, a number of major body systems are subject to feline lymphoma. The form of lymphoma affecting the thymus gland is called "mediastinal" lymphoma. The thymus Gland lies underneath the top of the breastbone, and over the lungs and heart. It produces a type of white blood cell called a t-lymphocyte. Tumors of the thymus gland can grow very large, causing breathing difficulty and coughing. If it grows large enough to press on the esophagus, it can cause difficulty swallowing. Tumors of the thymus gland are most common in young cats - usually two years old or younger. Siamese and Oriental cats are most often affected with mediastinal lymphoma.At one time young cats diagnosed with FeLV had a greater chance of contracting mediastinal lymphoma. However, in recent years, that does not seem to necessarily be a cause-effect, because of widespread testing and vaccinating for FeLV. Symptoms of gastrointestinal lymphoma are decreased appetite with accompanying weight loss, vomiting, and diarrhea. Some of these symptoms are also common in other feline diseases, including Hepatic Lipidosis, Chronic Renal Failure, and Hyperthyroidism. The only definitive way of diagnosing is through biopsy, which is done with general anesthesia. A biopsy can be accomplished through endoscopy, or surgically. The latter is less invasive, however, it could miss small tumors that surgery would locate. Once the diagnosis is made, the tumors are classified into low grade (small cell) or high grade (large cell). Multicentric lymphoma can be found anywhere lymph nodes are located, including under the jaw, in the groin area, under the top of the front leg. Because these lymph nodes are close to the surface, bumps may be readily visible. Some cats may have multiple tumors, hence the "Multicentric" designation. 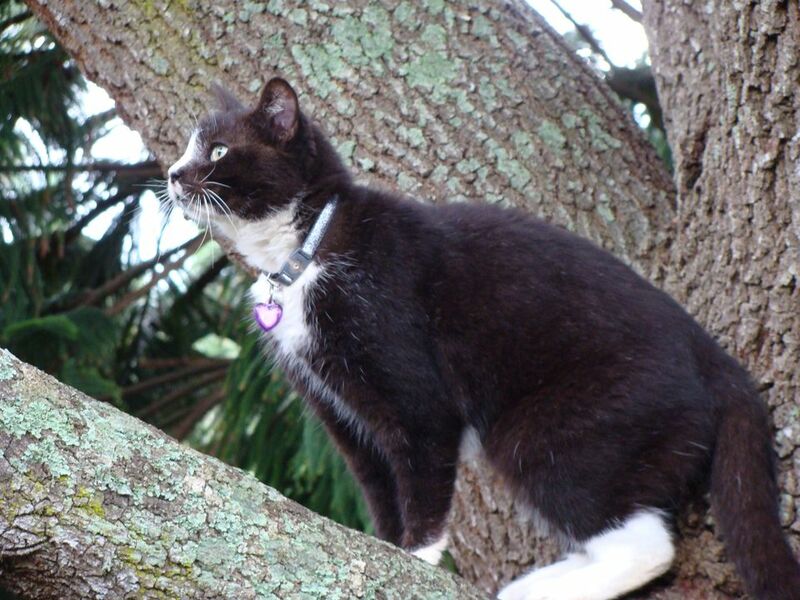 It is less common than the other forms of lymphoma already described, and, according to FABCats, is found most often in younger cats, and possibly associated with FeLV. Extranodal lymphoma is a catch-all phrase which includes those body systems not included in the above types of lymphoma. They may include one or more of the following systems, including the nasal cavity (most common), the skin, kidneys, or central nervous system. The prognosis for nasal cavity lymphoma can be good, but some have noted an association between nasal and renal lymphoma in some cats. A study was published in 2002 by the American Journal of Epidemiology. Titled "Environmental Tobacco Smoke and Risk of Malignant Lymphoma in Pet Cats," it was authored by Elizabeth R. Bertone, Laura A. Snyder, and Antony S. Moore. In the study, feline malignant lymphoma was compared to non-Hodgkin’s lymphoma in humans. According to the abstract, "the authors conducted a case-control study of this relation in 80 cats with malignant lymphoma and 114 controls with renal disease diagnosed at a large Massachusetts veterinary teaching hospital between 1993 and 2000. Owners of all subjects were sent a questionnaire inquiring about the level of smoking in the household 2 years prior to diagnosis." The conclusion was that "These findings suggest that passive smoking may increase the risk of malignant lymphoma in cats and that further study of this relation in humans is warranted." My conclusion formed a few years ago, was that if you have cats in the home, and you smoke, confine your smoking to the outdoors only. This would also apply to smoking substances other than tobacco, including marijuana. In addition to lymphoma, smoking around your cats could contribute to feline respiratory disease, including asthma and bronchitis. Any unusual symptoms or combinations of symptoms should serve as red flag warnings that an urgent veterinary appointment is called for. That is why it is vital that you know your cat's normal physical condition so that you can spot important variances immediately, and know it's time to call the vet. Similar treatments given humans for cancer, such as chemotherapy, the preferred protocol, are given to cats. However, in the case of chemotherapy, it is given to cats, not to achieve a cure, but to extend the cat's life as long as possible, while maintaining as high a quality of life as possible. It is a matter of balance, and often the dosages or the combinations of chemotherapy may change as needed, to attain that end goal. Minimizing the side effects is an important part of that protocol. Alternative treatments, depending on the type and location of the tumors, are surgery or radiation. The bottom line, as with any serious illness, is to weigh the balance between the extension of life and your cat's quality of life. Watch him carefully, as cats will often let you know when it's time to let go. As I've said many times, the decision should be made for the cat's benefit, even if you wish he could hold on a bit longer. You will thank yourself, in the end.